Eight weeks ago Maria and Daniela arrived at GBH. Everyday since their arrival, our GBH family has worked to be the hands and feet of Jesus in their lives. Some of the time has been blissful, and other times trying. But all of the time it has been our privilege and joy to serve Him by caring for them. Please be encouraged that your prayers for these little ones are being heard and answered. We see God’s hand moving strongly in both of their lives. Both girls are officially mobile and crawling all over. Daniela is pulling up to a standing position on anything that will hold her weight. They especially enjoy outings to the market in their new jogger stroller. Basically, they eat well, play hard, and sleep like babies (most of the time). One of the most delightful things for us to watch is the difference in these girls’ personalities. Daniela is expressive and busy. She is a little ham and keeps our home fun and laughing. Maria is sweet, smiley and more contemplative. They are so different, yet they equally bear His image. Please continue to keep Maria and Daniela in your prayers. Pray for their continued healing and development. Pray for their “forever families”. Whether they are biological or adoptive, pray that God would prepare homes that will grow them in the nurture and admonition of the Lord. There are costs to running our home and caring for these precious little ones. If you feel led to financially support the Lord’s work here at GBH, please consider making GBH your ministry to orphans and becoming a baby sponsor. By sponsoring our babies, for any amount monthly, you become a part of our GBH family. You can click here to set up your monthly giving. Thank you in advance. 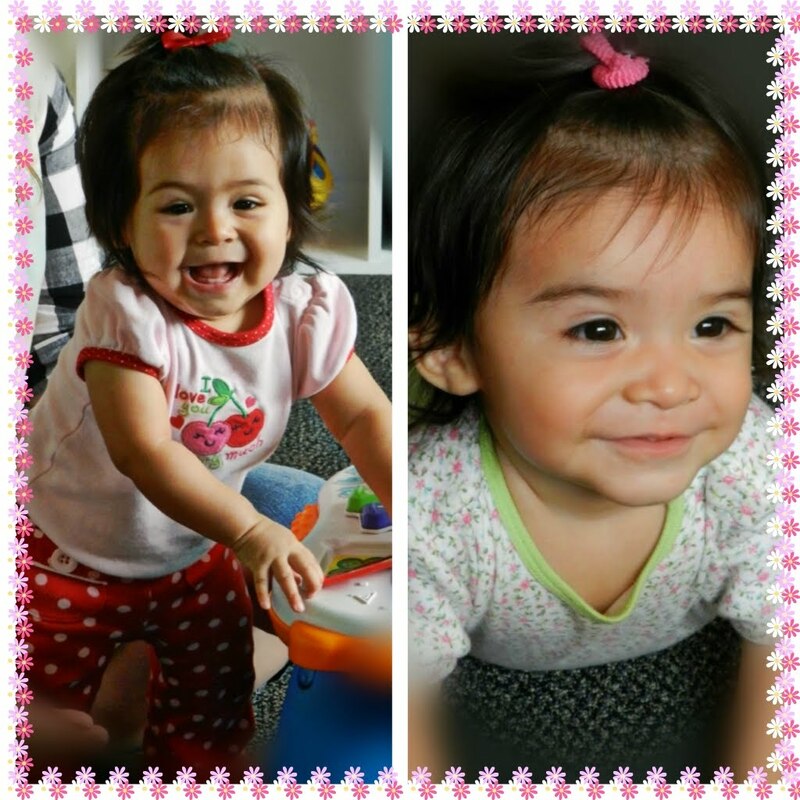 A week has passed since Maria and Daniela arrived to our GBH family. Aside from Maria struggling with a bad cold right now, they are both doing extremely well. They are settling in to their feedings, naps and general daily routine. Both of them especially love bath time! Developmentally, they are improving everyday. It is really amazing to watch. When they arrived they had no strength in their legs and trunk, and little strength in their neck to hold their heads up. We had a dear friend, who is an occupational therapist, come evaluate them. She gave us some exercises that are helping to strengthen their core which is helping all other areas. By Wednesday of this week Daniela was able to play in an exersaucer, holding her upper body up and using her legs to push up and down. Maria is a little more behind, but we have seen great improvement in her too. You can pray for Maria, that this cold would quickly pass. It is frustrating her when she sleeps and eats. Towards the end of October, Grace Babies' Home opened its doors. 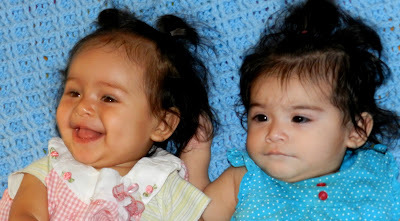 On November 8th, the Mexican social services (DIF) placed our first baby into our care. Three weeks later, she was adopted into her forever family. As days turned into weeks, we waited but did not receive more babies from the DIF. We were informed that they were putting us on hold while they reworked some of their own policies regarding the placement of babies and worked to create a new system of requirements and standards for orphanages receiving babies. On December 21st, we began earnestly seeking the Lord and His favor throughout this process. In daily prayer and Bible study, He was faithful to confirm through Scripture His absolute sovereignty and control over this time of waiting. One of the first Scripture verses He gave us was from Isaiah 66:9: "Shall I bring to the time of birth, and not cause delivery?” says the LORD. With this encouragement, we took heart. After all the miracles He had already performed to bring GBH into existence, God would be faithful to deliver on His promises to care for the fatherless. Meanwhile, we worked with the DIF to meet every request made of us with excellence. This process was tedious to say the least. We would complete a list of requirements with the understanding that we were finished and ready to receive babies. Later we would learn that the DIF had come back with more requirements. This cycle repeated itself over and over. As recent as this week, we attended 14 hours of classes including varying themes from child psychology to the organization and mission of the DIF. Yesterday afternoon we received the call that two babies from the DIF would be arriving today. After the call, we began to add up the weeks and months that we have been waiting, praying and preparing for these precious little ones. From December 21st to today, 38 weeks (269 days) have passed. This is the same amount of time God uses to create human life, and deliver that which He brings to birth. His timing is always perfect. Please join us as we welcome Maria and Daniela, and worship the One who has delivered them to our GBH family. He truly does, set the lonely in families! We can’t say “thank you” enough to all who have labored with us in prayer through these last nine months. Your love, prayers and support are what have carried us through to this day. I want to give you an update on our current situation with the Mexican social services (DIF), and where we stand in the process of receiving babies. We have been working closely with the DIF for several months now. As they attempt to create new policies and procedures around the placement and care of babies in orphanages, we are cooperating with each new demand and requirement they are implementing. While we continue to accommodate those in authority and government positions, we are certain that the king’s heart is a stream of water in the Lord’s hand that He channels towards those who please Him (Proverbs 21:1). As well, we are encouraged to know that ALL Mexican orphaned babies will benefit from the tedious process we are currently walking through. Though we are still in a season of waiting on the Lord to fill our home with His babies, we can see evidence of His unseen hand moving all around us. Daily time in prayer and the study of God’s Word has knit our GBH team together. Through the study of Nehemiah, James, and now Joshua, we are being made like-minded towards the ways of God and how those ways are to be reflected in His vision for GBH. We have had the opportunity to be purposeful in the area of staff development. In April our GBH team attended a three-day orphan conference where we were flooded with the latest information on orphan care. Between the five of us we attended twenty-five different breakout sessions on various topics from attachment and trauma issues to laws and legalities with international adoption. After much time and effort, all of our staff now have Mexican Visas, Sentri passes, and are working on Mexican driver’s licenses. When we received the latest list of requirements from the DIF, we were pleased that we were already prepared with nearly everything they were asking for; including visas, police background checks, drug tests, etc. As well, we have been working on fine-tuning our own policies and procedures at GBH. During a recent visit from the head of the state DIF, she was pleased to know and see our policies for visitors and volunteers. We are also still hosting volunteer work teams. Some of our current projects are: wiring the cameras in the nurseries, finishing the fire sprinkler system, and installing a generator to power the facility in the event of emergency. We are more certain than ever that this time of waiting and preparation is God’s plan. Day after day, He continues to affirm His control over our circumstances, and we are resting in His good and perfect timing. I want to take this opportunity to thank each and every one of you for your continued prayers and support during this time.